We try to offer the best labeling solutions required. Use our “Rescue Captain” crescent shaped Hard hat decals to make designations known. 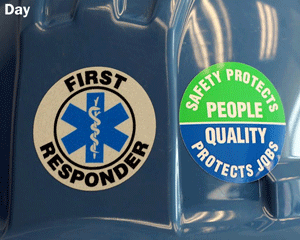 These rocker helmet decals are an indispensable part of any safety program.